Our Lunch Colloquiums got off to a great start with Ann Hartle's talk on Montaigne and the virtue of civility. Those of you who were not intimidated by what might have been a dry and impenetrable discourse in philosophy were instead treated to a fascinating and very relevant talk followed by a lively and engaging discussion. Thanks to Jan Pratt's article below you can read about what you missed. In addition, the recording of the Colloquium will soon be on our website. Our next Lunch Colloquium will certainly be no less interesting but will be in an entirely different area. Perhaps only someone in marketing like Jag Sheth could connect the dots between genes, climate, and consumption culture! I am certainly looking forward to seeing how such connections are made! 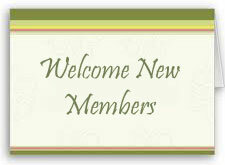 It is always exciting to welcome new members and see the activities of our current members, and I hope you will have the time to read those sections of this newsletter as well. For several reasons it seems advisable to postpone the proposed Interdisciplinary Seminar on The South to the spring semester. For one thing, though the response to the idea was enthusiastic, the numbers replying were not very high, and I'm hoping a better description of what the whole undertaking would be about would encourage more to sign on. For another, with the AROHE Conference scheduled to take place in a month, there hasn't been enough time for me to prepare and plan, and the same I'm sure is true for others who've been involved in the Conference planning. A third factor is that we'd be limited in what we could accomplish starting so late in the semester, that is, after the middle of October, with only six weekly meetings possible before the Christmas holidays. So I'll come back with a better articulated proposal sometime around Thanksgiving, in hopes that we could start seminar meetings in January. I hope you will still be interested in pursuing the broad topic of the culture of the American South, but I'm also open to hearing your suggestions about other topics we might tackle. Thanks, as always, for your interest in this ongoing venture. 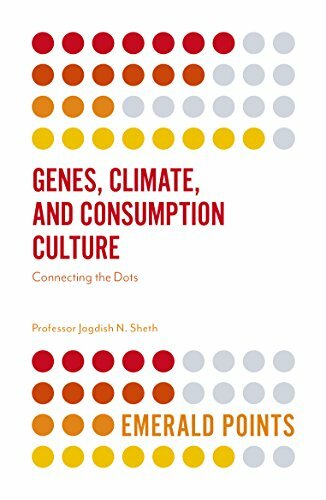 Drawing from decades of research, Jagdish Sheth's new book, Genes, Climate, and Consumption Culture: Connecting the Dots, demonstrates how climate dictates culture and consumption. Jag shows that human genes are climatic adaptations over thousands of years of evolution, resulting in the dramatic differences between people's food, clothing, and shelter choices. Most importantly, he'll explain how many of the fundamental differences between cultures, with respect to time, space, friendship, and technology, are responses to their particular climates, ranging from the arctic to the temperate to the tropical. 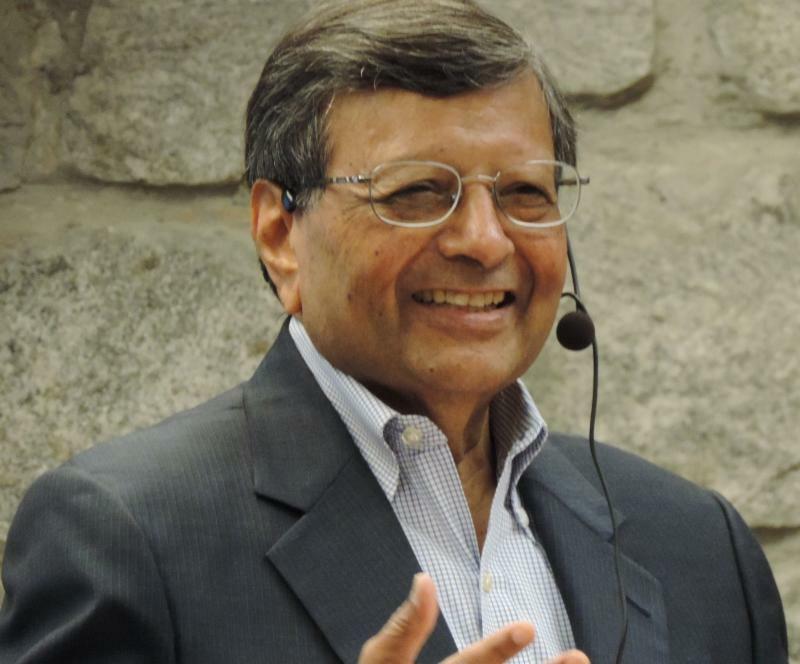 Jagdish N. Sheth is Charles H. Kellstadt Professor of Business in the Goizueta Business School at Emory University. He is globally known for his scholarly contributions in consumer behavior, relationship marketing, competitive strategy, and geopolitical analysis. He has over 50 years of combined experience in teaching and research at the University of Southern California, the University of Illinois at Urbana-Champaign, Columbia University, MIT, and Emory University. Professor Sheth has authored or coauthored more than three hundred papers and several books: Firms of Endearment (2014), Breakout Strategies for Emerging Markets (2016), The Sustainability Edge (2016), and Genes, Climate and Consumption Culture: Connecting the Dots (2017). His autobiography, The Accidental Scholar (2014), has inspired others in the areas of education and academic entrepreneurship. Professor Sheth has been on the boards of several listed companies both in India and the US: WIPRO Limited (1991-2015), Shasun Drugs and Chemicals, Safari Industries, Norstan, and Cryo-Cell International. He has been advisor to over a hundred companies including Aditya Birla Group, Tata & Sons, and WIPRO Consumer Care, as well as Whirlpool, General Motors, AT&T, and Bellsouth. Professor Sheth is the Founder of Center for Telecommunications Management (CTM) at the University of Southern California, which has now become an Institute. He is also Founder and Chairman of the India, China, and America Institute, which analyzes the trilateral relationship and its impact globally on geopolitics, security, trade, and investment. Professor Sheth and his wife, Madhu, have established the Sheth Family Foundation to promote India and its culture in the US. They have also established the Madhu and Jagdish Sheth Foundation to support scholars and scholarship in the field of marketing. Finally, he is the Founder and Chairman of the Academy of Indian Marketing, which supports research and scholarship among Indian scholars in marketing and management. In addition to the above, it is important to note that Jag is a member of our Executive Committee and that he and Madhu have endowed the Sheth Distinguished Lecture that we enjoy each year. 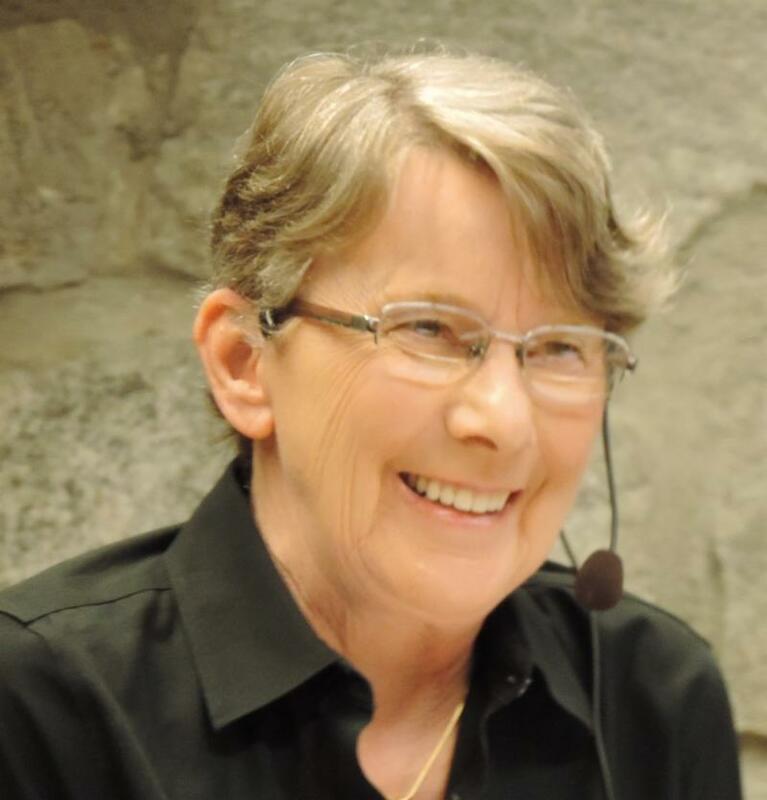 If you are like me, you approached the topic of Monday's Emeritus College Lunch Colloquium "Why Montaigne Matters: Recovering the Lost Virtue of Civility" presented by Ann Hartle, Professor of Philosophy Emerita. with a certain amount of trepidation. The name of Montaigne, the 16th-century French philosopher and essayist, struck fear in the heart of students in the advanced French class I took in school. Montaigne's work was, for me at least, impossible to read in French and close to impenetrable in English. However, Professor Hartle's lively and interesting discussion of Montaigne and his ideas soon dispelled my apprehension. The word "civility" is often used today in the context of speech with which the listener disagrees. "Why can't we be civil to each other?" usually means "Why don't you stop expressing those disagreeable views and just shut up?" Professor Hartle views the current trend in developing speech codes on campuses as a vain effort to maintain that superficial view of civility while still preserving freedom of speech. That, she explained, is not what Montaigne meant by civility at all. He saw civility as a virtue made possible (and necessary) by living in a liberal society of which he, Machiavelli, Bacon, and other founders of Modern Philosophy were the leading exponents. Montaigne was born to minor nobility near Bordeaux. As an adult he was a member of Parliament and later Mayor of Bordeaux at a time of increasingly bitter religious strife. He was, and remained all his life, a Catholic but was trusted by the Protestant side and hence was able to serve as a mediator between those who supported Prince Henry, the Catholic, and Henry of Navarre, leader of the Protestant Huguenots. (This is the Henry who, upon succeeding to the French throne, as the first Bourbon King in 1593, converted to Catholicism and, when his former religious compatriots complained, is reputed to have said "Paris is worth a Mass.") As a footnote, Professor Hartle mentioned that wine grown in the vineyard of the former Montaigne Chateau is still sold under the label Chateau d'Yquem. Thomas Jefferson visited the Chateau while Ambassador to France and pronounced the output of its vineyard the "best white wine in France." He bought 250 bottles of vintage 1784 for himself and more for George Washington. When Montaigne retired from Parliament to his chateau at the age of 38, he began to write essays, then an entirely new literary genre, and through them to explain and develop his concept of this new virtue of civility. Since Aristotle, philosophy had been dominated by the idea of the common good, preserved by public morality and political friendships. Montaigne rejected that idea in favor of the freedom of the individual to pursue the good as he saw it. Individuality, he believed, had to be fostered in the schools, as children should be encouraged to develop judgment, forming ideas of their own. All members of the community have a tacit agreement to abide by the norms of the community and have confidence that others will also act in the same way. Civility assumes a genuine respect for others who are considered equal, moral and intellectual beings who can listen to criticism of their ideas and respond in kind. Civility presupposes trust and respect. It requires openness of communication. It requires truth. Truth is fundamental. Since mutual understanding is brought about solely by way of the word, he who falsifies it betrays human society...Lying is such a destructive vice because we are men and hold together only by our word. Trust is the first and fundamental part of virtue and the first stage in the corruption of morals is the banishment of truth. In celebrating diversity of opinion, Montaigne wrote, "It is always a tyrannical ill humor to be unable to endure a way of thinking different from your own." As Professor Hartle said, if civility is to endure in liberal political life it is essential to forgive those who oppose your ideas, i.e. to have a tough skin. Montaigne, it seems to me, ought to be required reading for many people in public office today! If you cannot endure an opinion other than yours or persuade another to change, the only alternative to persuasion is force. Classic liberalism's second important principle is the rule of law. Civility is the willingness of the individual to live under that rule. It is at the intersection of the rule of law and individual rights. Rule of law does not mean MORE law. The force of law forbidding certain conduct restricts the freedom of the individual to develop civility and to practice self-restraint. We have come to rely on law to prevent conduct such as public littering that ought not to require legal force but should be a matter of civility. This overuse of the rule of law, Professor Hartle would argue, is another reason to object to speech codes. Members of the university should be open to hearing different opinions. Protesting a speaker is acceptable; violent protest or banishing a particular speaker is not. It is only too true that we cannot legislate civility in any sense! I certainly left that room feeling that I had done Montaigne and my long -suffering French teacher a disservice back in the day. Thanks to Professor Hartle for giving us all a new appreciation for his work. On September 13, Andy Nahmias will be inducted into the University of Texas at Austin Hall of Honor. There are only two inductees for this year in the Distinguished Alumni category--the other one is a Nobel Laureate! 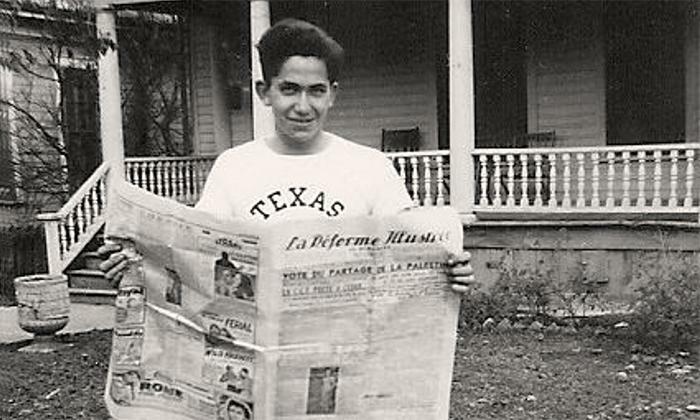 Andy spent five years at UT (from 1947-1952), obtaining a BA in Zoology and an MA in Bacteriology. Information about all of the recipients can be read by clicking here. An article about Andy and his work can be read by clicking here. In the Sunday, September 2, edition of the Atlanta Journal Constitution, there was an article about Janice Benario's role in code breaking during World War II. 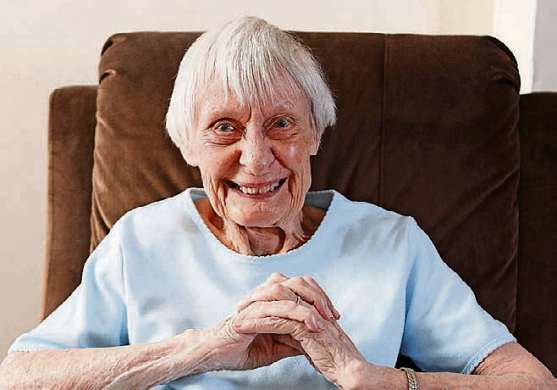 The article "Decatur resident, 95, was on Navy's code-breaking team" can be read by clicking here. Some of you may remember that she spoke on that subject to us at a Lunch Discussion in April, 2010. Janice's husband, EUEC Member Herb Benario, is also featured in this story, as there is a description of how Herb found out about his wife's activity in code breaking when he saw a picture of her in a book about the code breakers, 32 years after they were married! 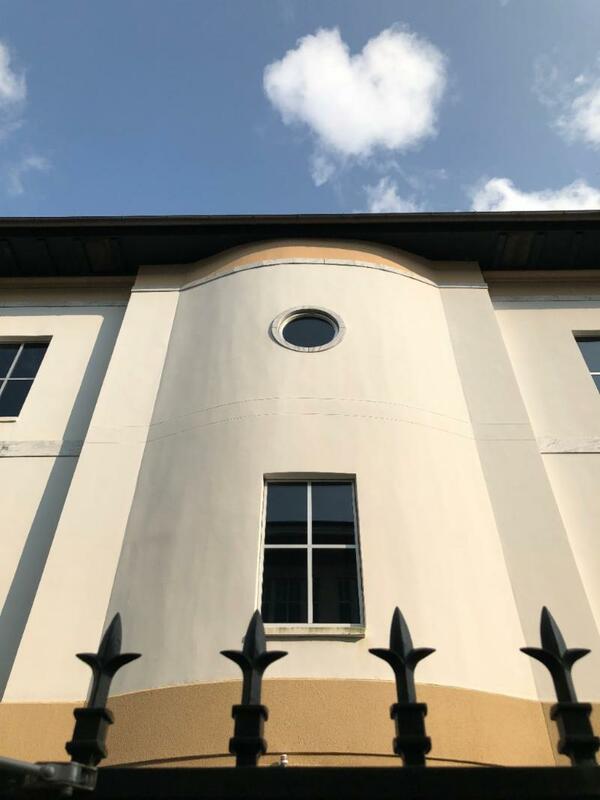 Liza Davis writes: "I received my BA in English from Baylor University in 1974 and MA and PhD in British Romantic literature from Emory in 1980, with special focus on the poetry of William Blake. 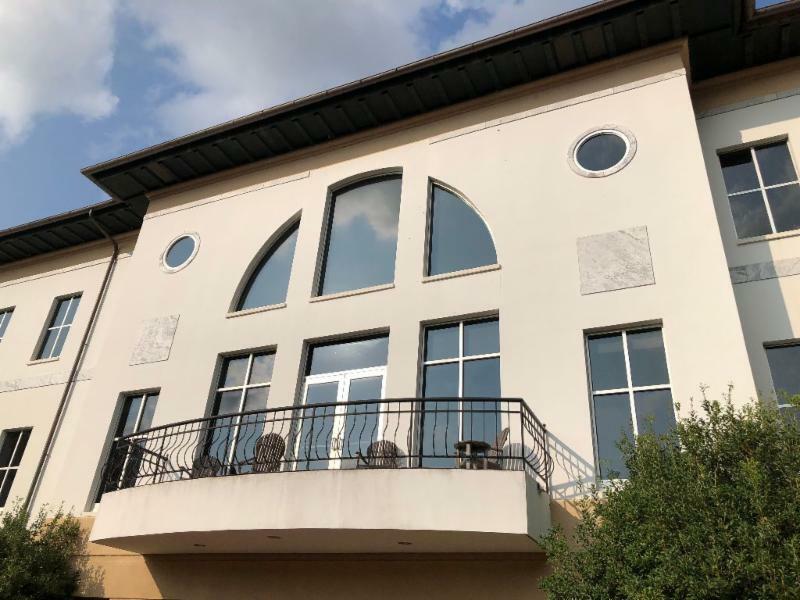 From 1980 through 1988, I taught undergraduate and graduate English courses at the University of Alabama in Huntsville before marrying Emory professor John Bugge and moving to Atlanta. 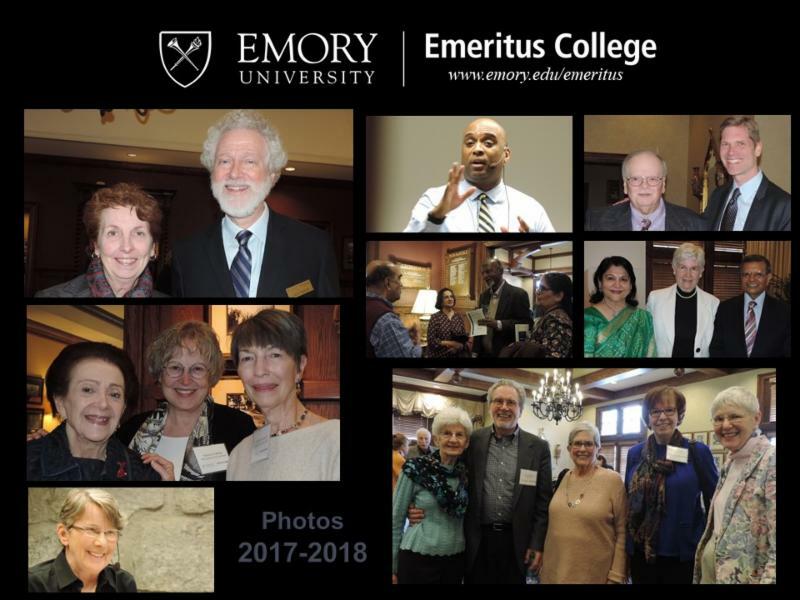 Between 1988 and 2016, I taught full time at Kennesaw State University, achieving full professorship and appointment as the founding director of KSU's Honors Program in 1995 and held that position until retirement in December of 2016. 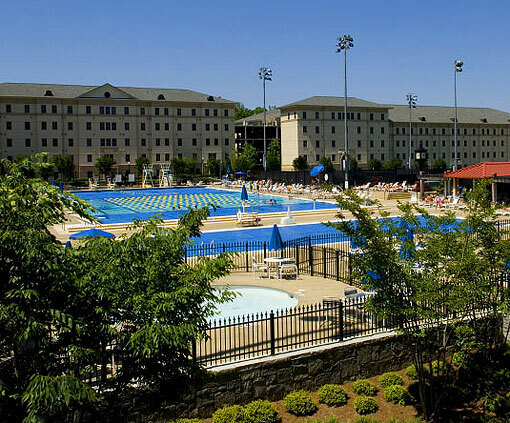 I miss my students and colleagues at KSU but am happy not to be commuting from my home near the Emory campus to Kennesaw State five days week." Did anyone, besides Herb Benario, know the place to go on a hot, humid, summer day? 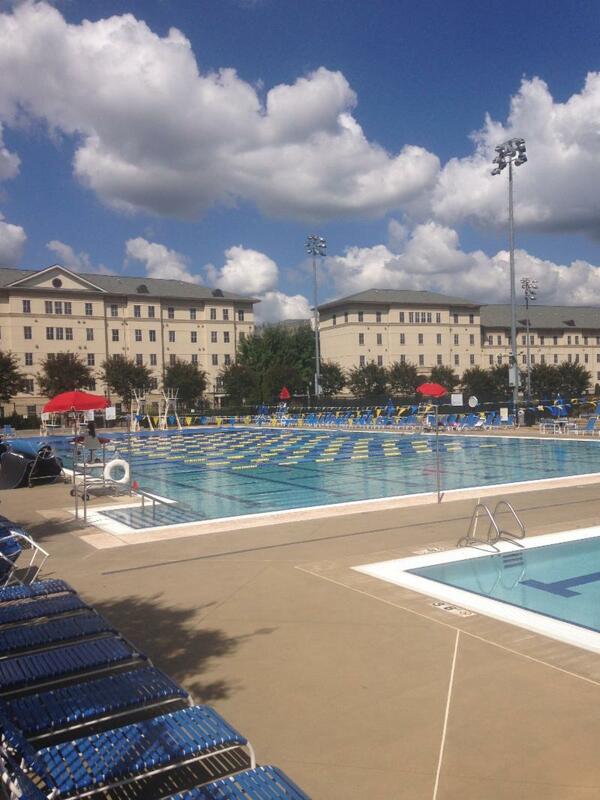 Of course, it's the pool located on the Clairmont Campus! The Student Activity and Academic Center is the place to go for swimming, diving, socializing, or perhaps even people watching. It's a great facility and well worth exploring. For more information you can click here. Where to next? 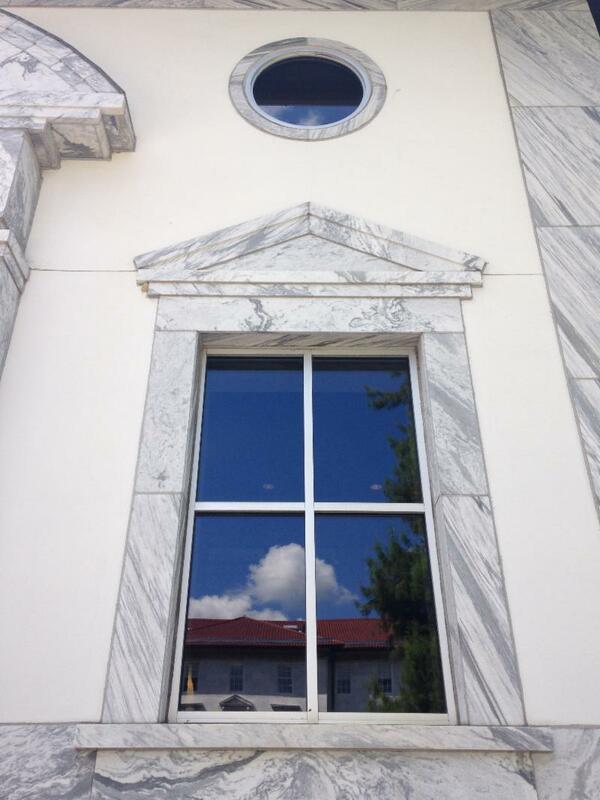 How about we stroll back to the main campus and look at a building with quite a few round windows . . . and a balcony that looks like it wouldn't be a bad place to relax and watch the world around you.